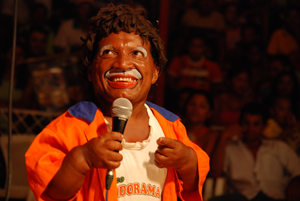 Charles, Zuleide, Gilberto, Cleide, Rogério, Claudio, and Lobão are the seven dwarves, all sons of the mythical Pindoba, the smallest and funniest clown in the world. 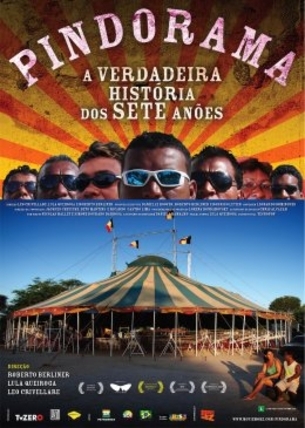 Together they form the Pindorama Circus and travel from town town in northern Brazil, bringing with them their simplicity and humanity, fun and bravery. In their world, everyone wants to be a dwarf and all this makes the Pindorama world something new, and completely different from everything that surrounds it. Roberto Berliner has built a prestigious career directing music videos, publicity films, and documentaries. Lula Queiroga, born in Recife in 1960, is a musician, composer, director and a prominent figure in Pernambuco’s artistic vanguard. 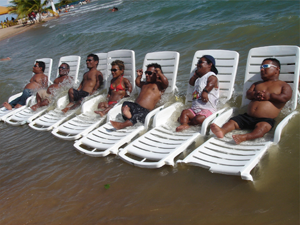 Leo Crivellare, born in 1973 in Juiz de Fora, is a journalist and has worked as a director and photographer for seven years.